An increasing number of churches nationwide are seeking to utilize new technological advances, such as innovations in voicemail, to increase the connectivity between pastors and their congregations. While many churches have been utilizing standard answering machines to collect messages for years, some are riding the new wave of virtual voicemail to be more personable and available to the community. Virtual voicemail allows pastors and their secretaries to check the church voicemail anytime they are away from the office, so that members don’t need to wait until the office reopens to receive a return call. Pastors can listen to church voicemail at home, while on-call serving those in need or while traveling for speaking engagements and missions trips. 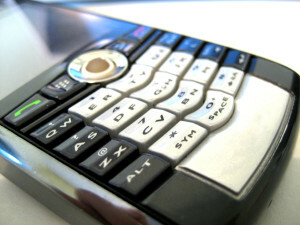 VoicemailOffice.com, one of the premier providers of new voicemail technology, serving both the United States and Canada, explained how the process works. As many call their pastor in emergency situations, such as when a member is hospitalized or needs crisis counseling, innovations in local voicemail are helping congregations to obtain help faster with shorter wait times. Some services also provide text notification so that pastors can receive instant notice of an incoming call. “An after-hours voice mailbox is available to notify the 24/7 pastor in the event of an emergency,” cites Crossroads Christian Church in Newburgh, Indiana. While in the past voicemail was stored on the office answering machine and could not be duplicated, technology now allows for voicemail to be emailed to the pastor or receptionist, who can forward or copy the message to another staff member. Therefore, multiple church leaders can receive the same message to keep informed of important matters. Churches are now also utilizing voicemail for information lines, where members can call to learn about scheduled services, church projects or to listen to an uplifting message. Churches see this use of their phone lines as a way to connect with the community and provide valuable information in a personable manner. Transcription technologies are also up-and-coming in the world of voicemail and may additionally be useful to pastors and other church leaders, but are still being perfected.